Located on the North Island of New Zealand, the Bay of Plenty is a stunning region on the northeast coast encompassing Tauranga, Whakatane, Taupo and the popular destination of Rotorua. 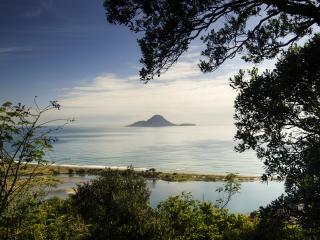 Named after its large bay, the Bay of Plenty stretches from the East Cape to the Coromandel Peninsula. One of New Zealand's original tourist destinations, Bay of Plenty has been welcoming visitors for over 200 years. The sense of being somewhere quite different is apparent as soon as you arrive, particularly in Rotorua where the sulphur scented air marks the presence of the famous geothermal hotspots nearby. The warm geothermal springs, boiling mud pools and spouting geysers are a popular attraction, with some said to have healing powers according to traditional culture.